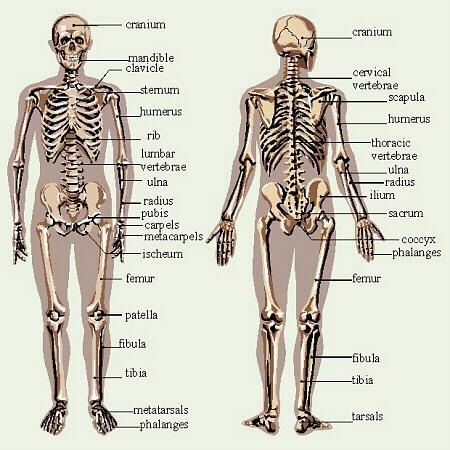 The skeleton provides support for the body of the animal. It also protect the vital organs of the animal, such as the brain, the heart, the lungs, etc. Allows the animal to move in a certain direction (e.g arms moves upward unless double jointed or broken, the wrist can move in a clockwise motion, etc.). The spine protects the nervous system. Obviously most animals in the animal kingdom have a different structure skeleton that may help them survive in the wild.